Updating a household bathroom is a fantastic way of revitalizing your home and achieving a more modern feel. As well as bringing a more enjoyable and practical experience, a more modern family bathroom can add an extra sense of style and improve the value of your family home. Here are a few tips to keep in mind to create a comfortable modern family bathroom design. New bathroom fixtures can give the room a new feel. 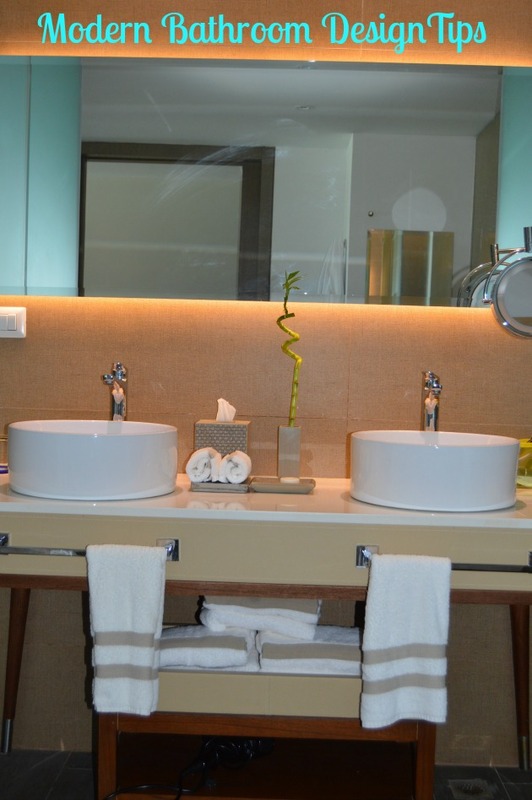 If you have your eye on a new fixtures such as a bathtub with jets and backlit led lighted mirrors then be sure to consider its usefulness as well as the decor value. You want your bathroom to look great and function better. The jets would be a nice upgrade to your old tub. The backlit led lighted mirror would be a great way to achieve a modern look and an eco-friendly choice at the same time. Many new faucet systems offer extra benefits like low-flow or motion activation. Getting a few bells and whistles will make your bathroom a place of relaxation and function. And make sure that all your bathroom fixtures are the same material such as brushed nickel so you get a uniform look. A hand towel fixture is a must to hold embellished hand towels for your guest. 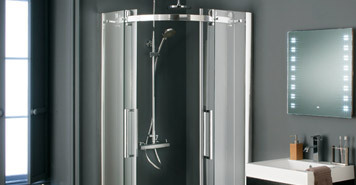 There are a large range of bathroom design styles that are available to you. It is entirely possible to have a modern family bathroom that is fashionable and stylish but also include vintage features such as classic legged bathtubs. Many modern bathrooms contain darker colors such as dark grey and black contrasted with white and silver fixtures and accessories. This is a great look and can really add a ‘wow’ factor to your home, providing you and your family with a great room in which then can unwind and relax. If darker colors are not for you, then be sure to carefully coordinate your desired tone with other bathroom fixtures. Choosing two primary colors and then continuing the color scheme around the room can be very effective for your modern bathroom decor. Part of the modern design look is having an uncluttered space. So for your modern family bathroom, you will want to have adequate storage. If you have smaller more compact family bathroom, then remember there are always shelving units and fixtures available that are well suited to bathroom organization. You can have a small bathroom that is just as practical and stylish by choosing accessories and features that compliment your color scheme on a smaller scale. Instead of buying a large towel rail, consider a smaller hook or hoop to hang towels on. 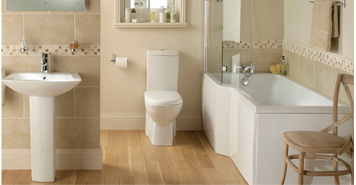 Having bathroom storage is an important element of keeping your modern family bathroom tidy and looking good. 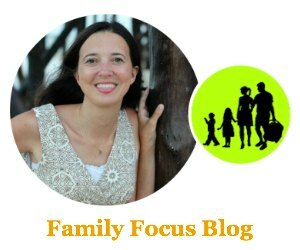 There are many options whether you go with under the counter organizers, over the toilet shelving, or an organizer on the back of the door. Creating a stylish modern family bathroom design is possible in any room no matter what the shape or size. Remember to add function and always coordinate your chosen color scheme; stick to these simple rules and you will enjoy your modern family bathroom for years to come.